Eye opening: Daniel Perks reviews Oli Forsyth’s empathetic look at homelessness at this year’s Vault festival. Publicity image for Kings at the Vault festival 2017. Kings is my pick of Vault Festival 2017. There, I said it. A bold opening statement, but sometimes it’s easier just to blurt these things out straight away, no messing around. Building on the successes of Cornermen and Happy Dave, Smoke and Oakum Theatre have constructed a witty, insightful show that throws a spotlight on a group of individuals we are all too happy to forget about in society. They ask us for spare change as we pass them on the street, stepping around them so as not to get dirty before we rush on with our busy lives. But when the homeless are the subject of a production a powerful as this, it is impossible not to sit, listen and take on board the struggles that these people face on a daily basis, all of which scream far louder than our own complaints. Ebi (Andy McLeod) and Bess (Helen Belbin) are old hands on the circuit. They have even put down roots, to a certain extent – a railway arch that is dry enough for them to pitch their tatty tents and make safe their worldly possessions. Hannah (Isaura Barbé-Browne) is new to the streets, taken under their wings for safety. Because she is young and attractive she always comes back with the lion’s share of the daily takings. £9 is considered a good day. That’s 3 Starbucks or 1 GBK burger for most people but a literal life line to these three. Yet the characters at times appear happy and relatively settled. They argue and quibble like a typical familial unit. Oli Forsyth stays true to his previously successful writing style – real people having real conversations about real life. Caz (Madeleine McMahon) comes in one rainy night and upsets their situation. Bess, the protective mothering feline, senses a threat – she hisses, fur on end and defences well and truly up. Caz is new, she does magic tricks and pulls alcohol out of nowhere. She immediately impresses naïve Hannah and bumbling Ebi. A territorial war ensues. Sam Carrack keeps the tension and pace up throughout the struggle. As the tale unfolds, Bess is frozen out. Her schemes to try and keep the group together are revealed – they are either deceptions to scam Hannah out of social housing, or are they attempts to protect her pack as Hannah won’t ever be eligible herself. The naïve younger woman is so ready to let others help her, she has no idea of how to help herself. Barbé-Browne’s performance matches her character – initially unsure and unable to keep up with the other more experienced performers, she grows and starts to truly own the role. Belbin’s Bess is guarded and inflammatory, born of circumstance. The tussle for power against Caz (McMahon) is electric – sparks constantly fly and the audience are left guessing who will gain the upper hand. McMahon has true swagger and inner confidence in her characterisation. Kings is a team effort, every member of cast and crew completely in sync to produce a stylish show, packed full of meaning and tackling questions too easily swept under the carpet. Forsyth’s script shines through it all, the core of the production forcing the audience to open its eyes and truly see the world around them. 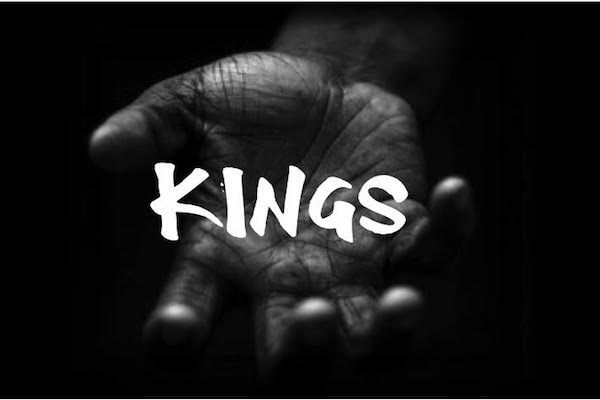 For more information on Kings, click here. Daniel has been involved in theatre ever since moving to London and is now a full-time freelance journalist and writer, focussing on the arts and culture sector. He has written for a number of publications and is currently the Theatre Editor of Miro Magazine, as well as a Super Assessor for the Off-West End Awards (The Offies). He is particularly interested in fringe work ranging from operas to new musicals to solo theatre performances. He blogs at Culture By Night (danielperks13.wordpress.com).